Instead of copious tracking of time by the minute and hour, there is the concept of a scene. Powers that last for a combat, or the duration of a break-in job, or a hostile negotiation. I like this unit of measurement. There are further guidelines that its about 15-minutes and assumes a bit of rest between scenes, but is not a hard and fast rule. A quick discussion of saving throws. Somewhat familiar territory for anyone that’s played any version of Dungeons & Dragons. Like 2E and before, you roll a d20 and get above your save score. The three saves: Physical, Evasion, and Mental - akin to 4th Edition D&D’s saving throws where the better of Str or Con modifies Physical; Dex or Int modifies Evasion; and Wis or Cha modifies Mental. Mental saves can also be used when no other saving throw category seems to apply and only blind luck and ineffable intuition can save the hero. I know as a GM there are times where I’m looking for a luck roll. This little sentence gives me clear permission to use the Mental saving throw as a luck test (considering that the luck save did not make it from the Core edition to the Revised edition). Here we have a deviation from the modern D&D systems. Skill checks use 2d6 plus skill rank plus ability modifier plus a possible situational modifier. And no ranks means -1 to the check, if you can even make it at all. I like the explicit advice that failing at a check need not mean that you don’t accomplish it, but could mean you succeed with a complication; This is up to the GM. 6 A relatively simple task that is still more than the PC would usually be expected to manage in their regular background. Anything easier than this isn’t worth a skill check. 8 A significant challenge to a competent professional that they’d still succeed at more often than not. 10 Something too difficult to be expected of anyone but a skilled expert, and even they might fail. 12 Only a true master could expect to carry this off with any degree of reliability. 14+ Only a true master has any chance of achieving this at all, and even they will probably fail. As a general rule of thumb, if failure at a particular task would make the PC seem notably incompetent at their role in life, then they shouldn’t have to roll a skill check for it. In addition, if failure or success at a check really doesn’t matter in the game, if it won’t produce some interesting result either way, then a check shouldn’t be made. With the 2d6 system opposed skill checks notably favor the player characters; As compared to the usual “ties favor the aggressors.” Below is a table of probabilities of success for a PC. Something feels right about 2d6 for skill checks. A bit less swingy. 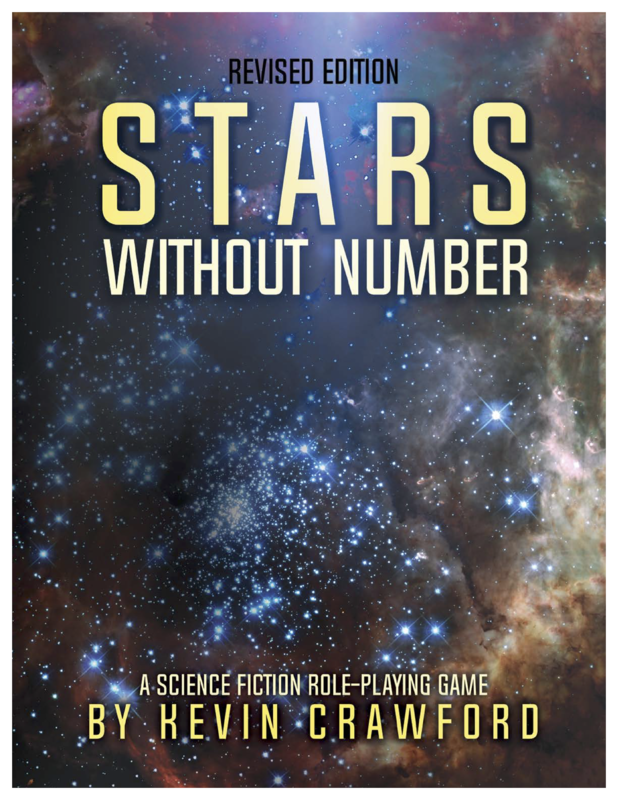 Let’s Read “Stars without Number” – Scenes, Saves, and Skill Checks by Jeremy Friesen is licensed under a Creative Commons Attribution-NonCommercial-NoDerivatives 4.0 International License. Based on a work at https://takeonrules.com/2018/07/12/lets-read-stars-without-number-scenes-saves-and-skill-checks/. Permissions beyond the scope of this license may be available at https://takeonrules.com/more_permissions/.